We are a leading Manufacturer of biomass briquette plant from Ludhiana, India. 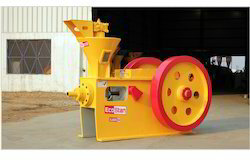 Biomass Briquette Plant is one of the best briquette machines in the Industry. Our machine is far superior as compared to all available machines in the market because of the entire production is in-house. Moreover, it can be widely used to make briquettes from a different raw material such as Sawdust, Bagasse and Rice Husk etc. Likewise, briquettes can be made directly from the raw material without any grinding process. We are using only international standard motors. Furthermore, we are fabricating complete solution right from the receiving till end product.